3 Pieces of Advice from The Big Bang Theory's Raj (Kunal Nayyar) The Big Bang Theory's Raj (Kunal Nayyar) Wrote a Book! 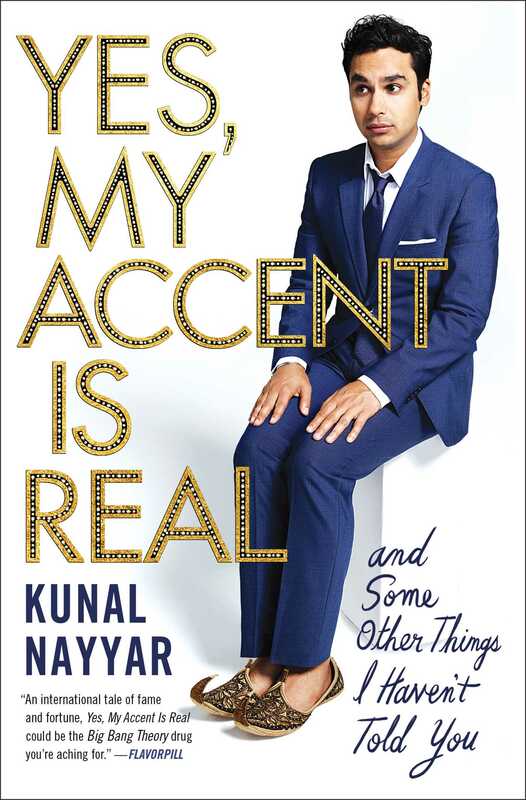 “Employing a charming, self-deprecating tone, [Nayyar] writes that he’s too young for a memoir, so these anecdotes are merely stories from his life – humorous, insightful, heartfelt, and heartwarming autobiographical essays." "The author’s charming style will keep readers invested, while the portrait of his family is beguiling in its sweetness and sincerity. A must for those who enjoyed Mindy Kaling's Is Everyone Hanging Out Without Me? or Judd Apatow's Sick in the Head." “An international tale of fame and fortune, Yes, My Accent is Real could be The Big Bang Theory drug you’re aching for."